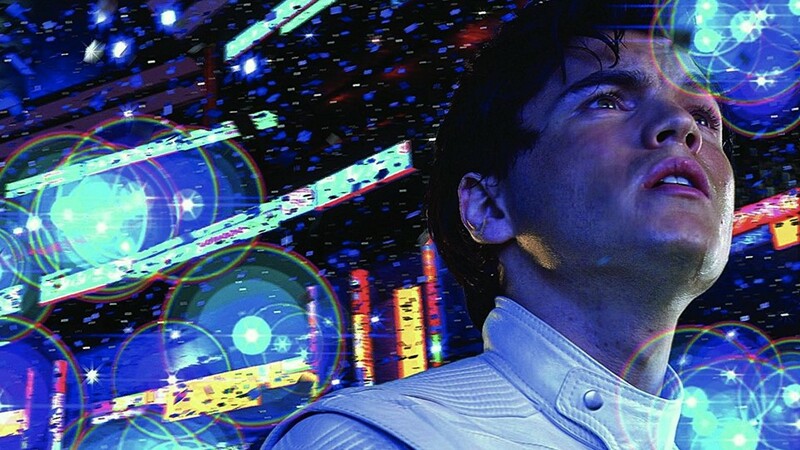 The opening seven minutes of the Wachowskis’ Speed Racer are the definition of sensory overload. The audience processes a colossal amount of storytelling at once, as our hero Speed (Emile Hirsch) prepares for a pivotal race. The film cuts between his childhood, when he’s already obsessing over cars and his older brother’s star racing career; his adolescence, falling in love with the girl next door and learning how to drive; and the race itself, in which he’s trying to break his (now-dead) brother’s record, competing with a literal ghost. Beyond all that plot, there are the unusually overwhelming visuals; every scene pops with primary colors and CGI landscapes. It’s a living, breathing cartoon, populated with real actors. An adaptation of the iconic, kitschy 1960s Japanese anime and manga series about a heroic race-car driver was, bizarrely, a Hollywood hot property for more than a decade. A film was first mulled in 1992 and considered by directors as varied as Gus Van Sant, Alfonso Cuarón, and Hype Williams, before finally landing with the Wachowskis in 2006 (the movie was released in 2008) as the follow-up to their trilogy of Matrix movies. Speed Racer was given a prime release date at the start of the summer box office in early May, a huge budget ($120 million), and a massive merchandising push. It was, after all, seen as one of the top family movies of the season. But it crashed and burned, opening in third place behind the second weekend of a movie that would end up defining the next 10 years in blockbuster filmmaking: Iron Man, the first in Marvel’s long-running, never-ending, continually record-breaking cinematic universe. Speed Racer was probably doomed no matter what its box-office competition, given its poor reviews and hyperstylized, visual effects–heavy world—the Wachowskis’ vision was simply too sincere and goofy to catch on. But Speed Racer’s failure a decade ago, and the subsequent rise of superhero-centric franchises (The Dark Knight came out that July), seems to mark a crucial moment for Hollywood, one where these kinds of big-budget risks were becoming rare. The cruelest irony is that, when watching the film, it’s clear that the Wachowskis (who wrote and directed) see things in the industry trending in the opposite direction. Speed Racer is a tale of individual triumph over corporate interests in which Speed rejects an evil conglomerate (the corrupt Royalton Industries) to compete independently. The story centers on his dazzling natural talent and passion for racing, which is presented as an obvious analogue for any kind of artistic endeavor, and for doing what you love. And it’s a film where Speed’s ultimate triumph is exposing the greed that underwrites his industry by revealing Royalton’s cheating tactics on the racetrack. “This could change everything,” a businessman marvels as Speed wins the final race, which leaves the corporations in ruins. “It already has,” Speed’s great rival, Racer X, says approvingly. The Wachowskis were among Hollywood’s biggest and brightest creators after their Matrix films, even though the second of the 2003 sequels, The Matrix Revolutions, had been a critical disappointment. Speed Racer is their rebel yell about the necessity of working on things you believe in rather than on projects that serve the bottom line, and, judging by the movie’s idiosyncratic style, the directors were given totally free rein to produce it. But the “changes” they hoped for and hinted at in the film were not to be; their next movie, the equally divisive Cloud Atlas (2012), was mostly funded with European money.